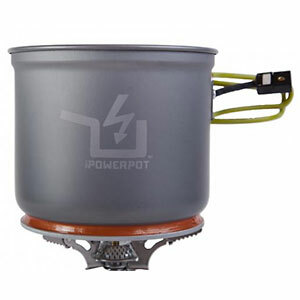 Solo Stove Pot 900 - The lightweight Solo Stove Pot 900 is the companion pot crafted specifically for use with the Solo Stove Lite. 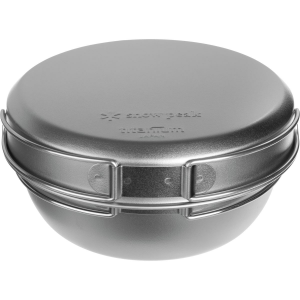 When nested, the Solo Stove Lite fits inside the Solo Stove Pot 900 for easy storage. 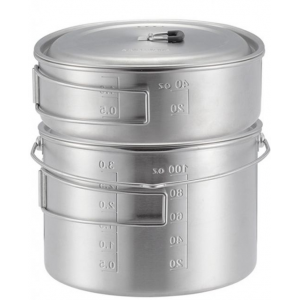 The Solo Stove Pot 900 is more durable than aluminum pots and arguably, a safer and healthier choice. 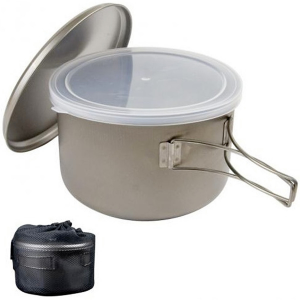 Solo Stove Camp & Hike Pot 900-Silver POT1. When nested the Solo Stove Lite fits inside the Solo Stove Pot 900 for easy storage. 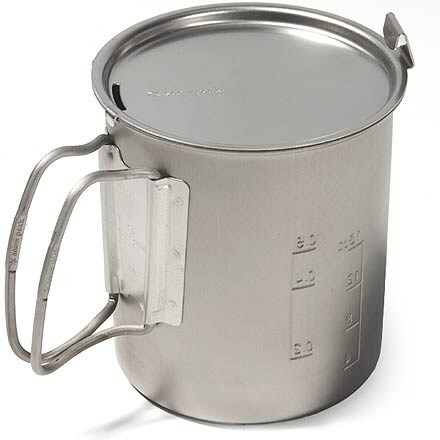 Made with premium grade 304 stainless steel the Solo Stove Pot 900 is more durable than aluminum pots and arguably a safer and healthier choice. 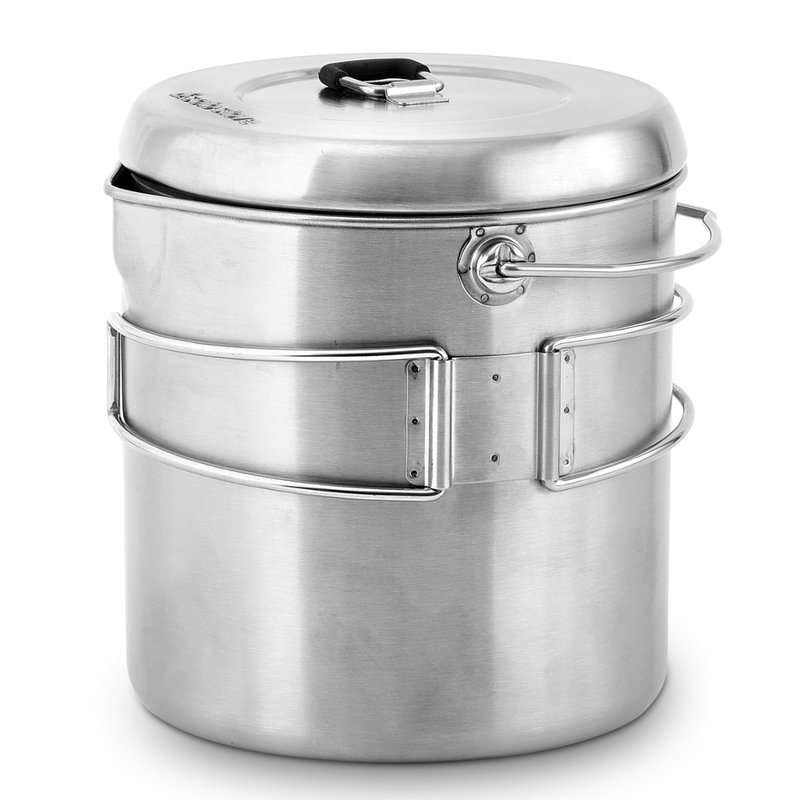 The lightweight Solo Stove Pot 900 stainless-steel cooking pot nests perfectly with the Solo Stove Lite stove. The stove fits inside the Pot 900 for easy storage. Solo Stove designed the Pot 1800 to work specifically with its Titan stove. It's lightweight and functional, and is just large enough for the Titan to nest comfortably inside, saving space in your backpack. The handles and bail fold down to make packing easy, and the lid sports a rubber-coated tab to keep your fingers safe from the hot metal. 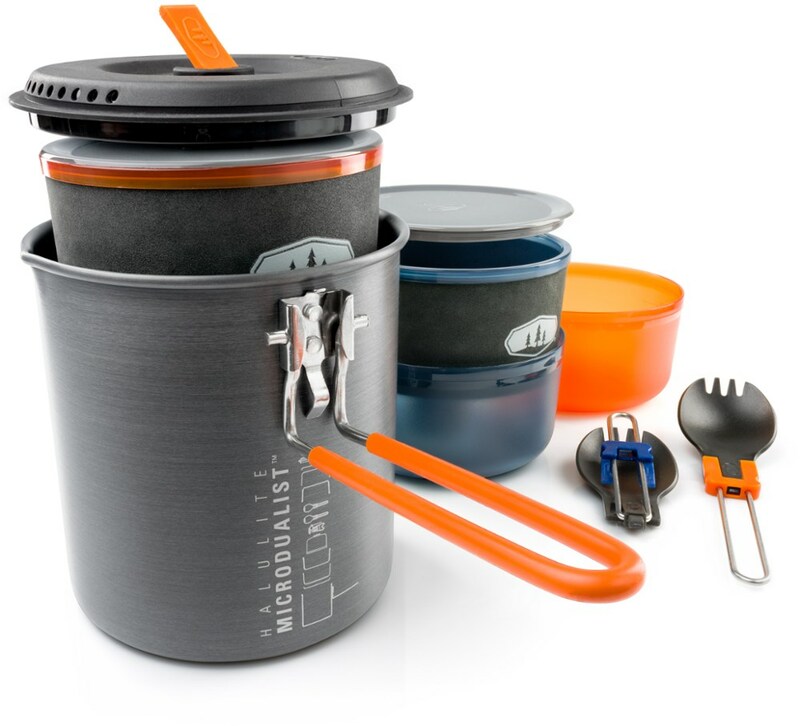 Internal volume markings make it simple to precisely follow your favorite backcountry recipe, while the pour spout makes serving up hot soup to your hungry companions a mess-free affair.